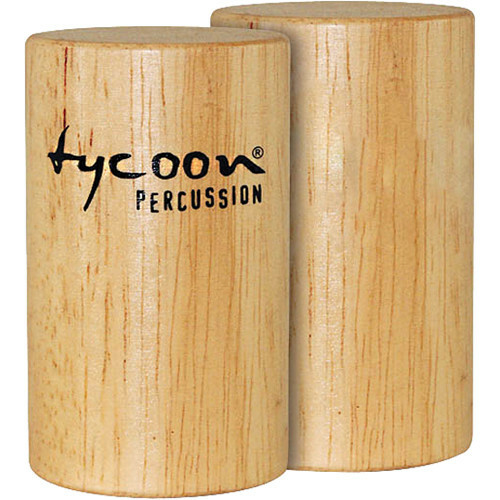 The small Round Wood Shakers from Tycoon Percussion are a pair of round wood shakers with Siam oak shells that produce soft, warm, and controlled sounds. The 2" designed shells allow for ease in playing. Box Dimensions (LxWxH) 2.5 x 2.2 x 1.4"